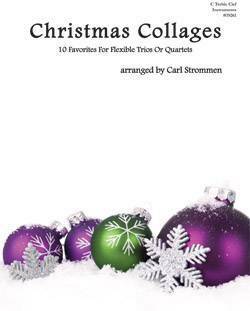 This innovative collection of 10 Christmas favorites for any combination of three wind instruments includes a 4th and more advanced obbligato part that can be featured with the basic trio scoring to create a more exciting, sophisticated sound. This is the perfect opportunity for a group of varied ability levels. Published in score form for any combination of like or mixed wind instruments using the appropriate key-compatible books.